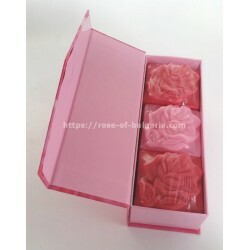 One small soap 40 grams, one perfume rob004, 25 ml presented in a decorative box for the joy of giving. 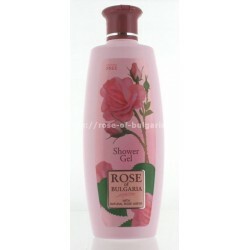 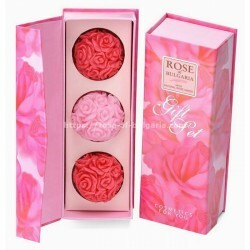 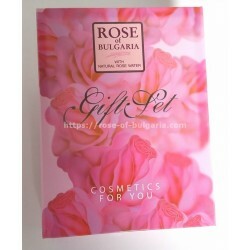 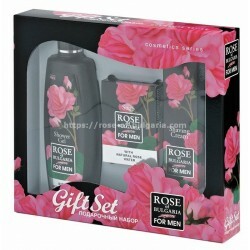 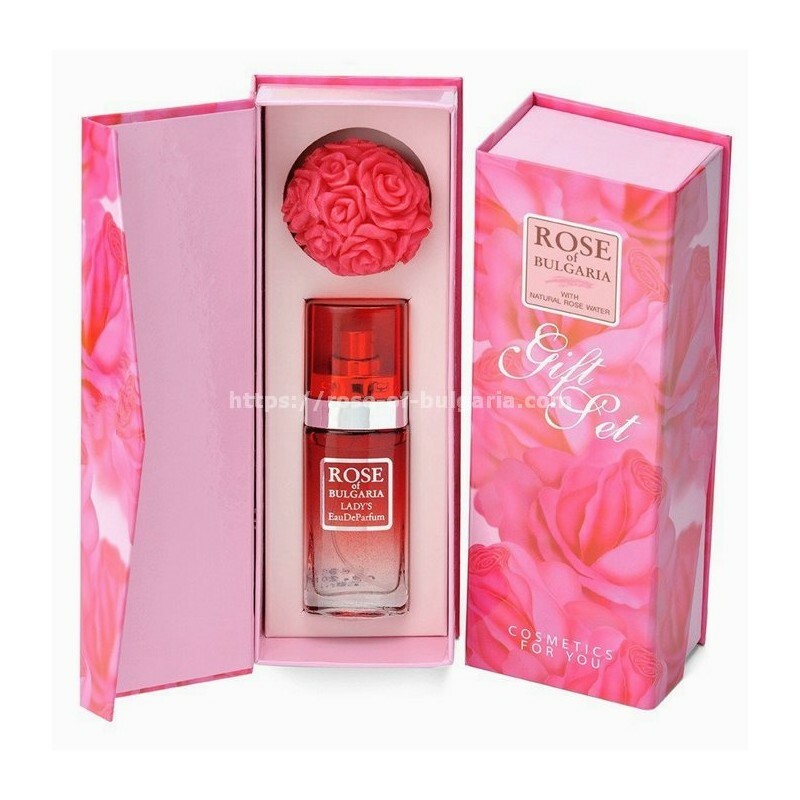 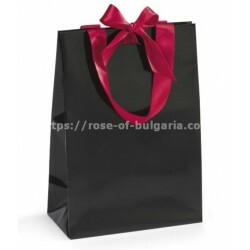 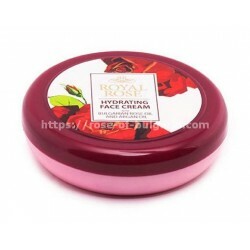 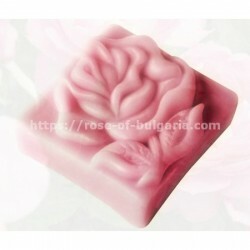 Soaps : This product is formulated with natural rose oil nourishing the skin. 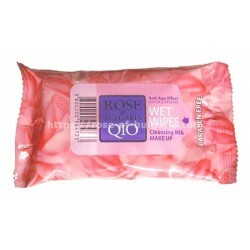 It does not contain antioxidants or preservatives. 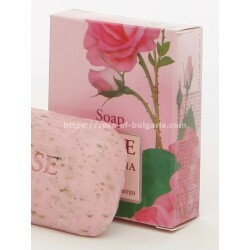 Used with water, it makes your skin perfectly clean and degreased. 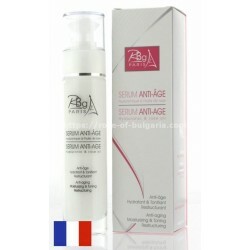 Suitable for face and body, children or adults. 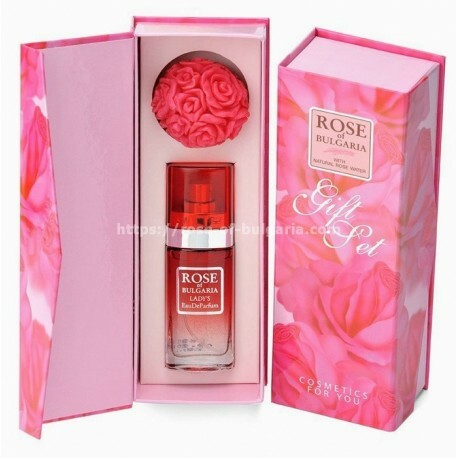 Eau de Parfum N° 4, 25 ml : a unique aroma, which offers you a straitening combination of elegancy and fineness. 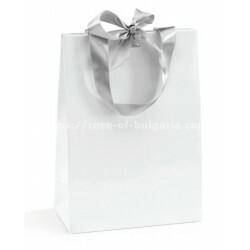 The eternal and stylish notes of “the queen of flowers”, the Bulgarian Rose Damascena wraps you in aristocratic atmosphere. 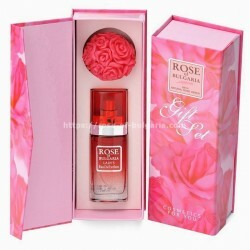 An overwhelming aroma, which has to be felt.